any riding mower on the market - from small lawn tractors to large ZTRs. 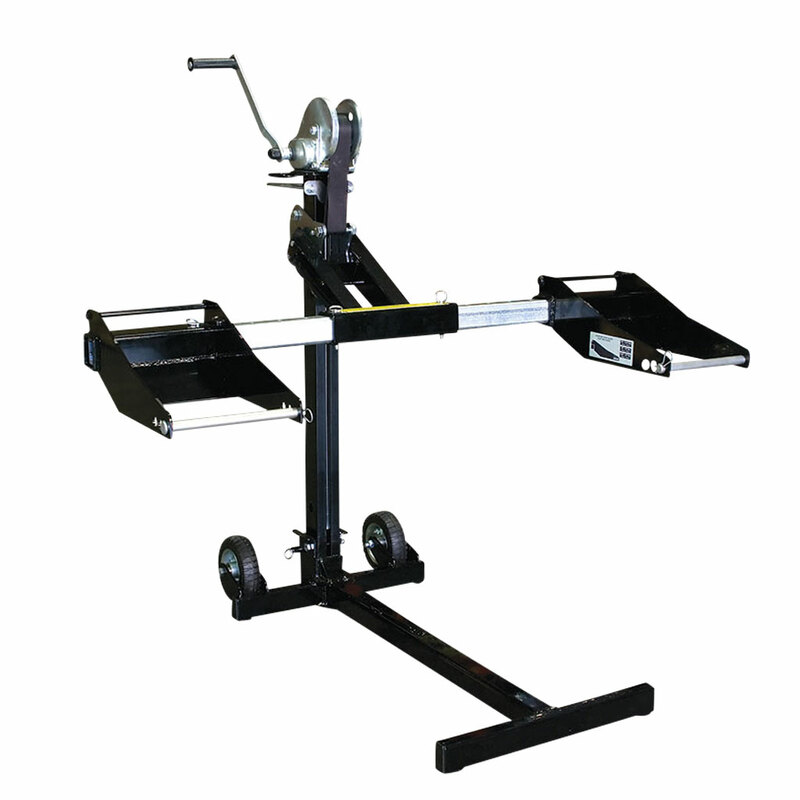 All-in-one unit that easily lifts virtually any mower on the market with a deck size of 30" - 72"
Easily lifted with one hand or a power drill. Also works well for ATV's and other maintenance projects. Lifting capacity of 750 lbs (340.19 kg) lifting front end only, not total weight of mower.